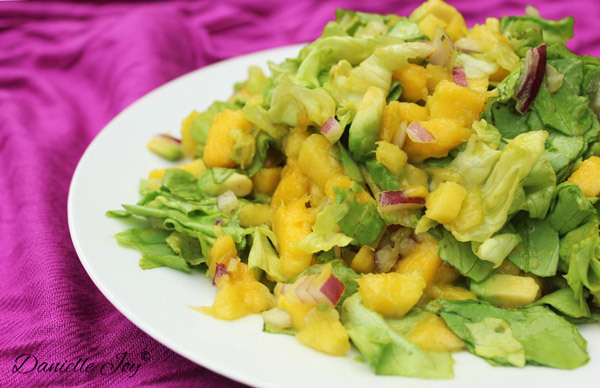 Dressing-less Mango-Avocado Salad - Your process has a purpose. 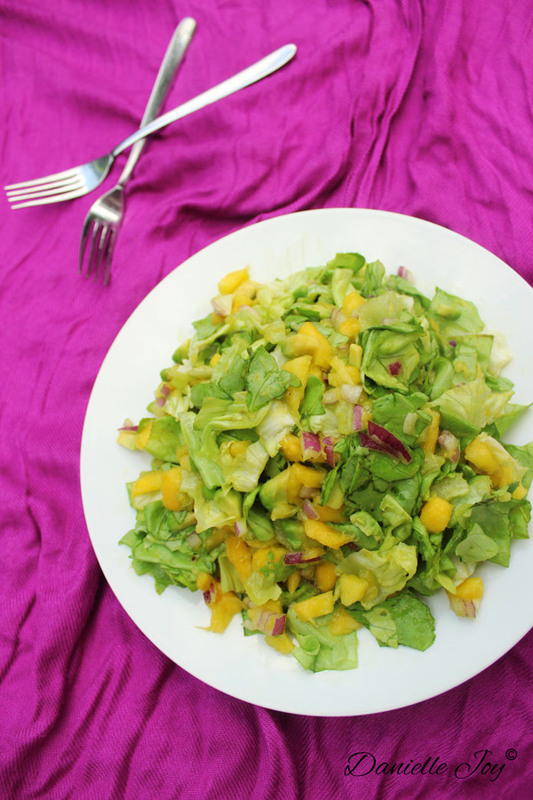 Jennifer Cornbleet’s Mango-Avocado Salad from her book “Raw Food Made Easy for 1 or 2 People” has become one of my mom’s specialties. One day I made this classic and forgot to add the dressing. When I tasted it, however, I realized this salad was amazing without any dressing at all! I became ecstatic. I discovered a low-cal salad that tasted delicious! No oil. No added sweetener. The juiciness of the mango and creaminess of the avocado add the moisture and silkiness to make up for a lack of dressing. Not to mention the wonderful heath benefits of mangoes and avocados. They are both good sources of vitamin E, which promotes beautiful skin, healthy hair, and strong nails. It may surprise you that a food high in fat would be helpful for weight loss, but avocado does just that. Mangoes and avocados alkalize the entire body, giving cancer no chance at all. Take my word for it. Try it. It’s so good! A friend of mine recently gave me a really good tip for the onions: soak the minced onions in a bowl of water for a couple minutes before draining them and adding them to the salad. This will kick down the spiciness down a notch. If you haven’t already, try some of my recipes during this weekend. 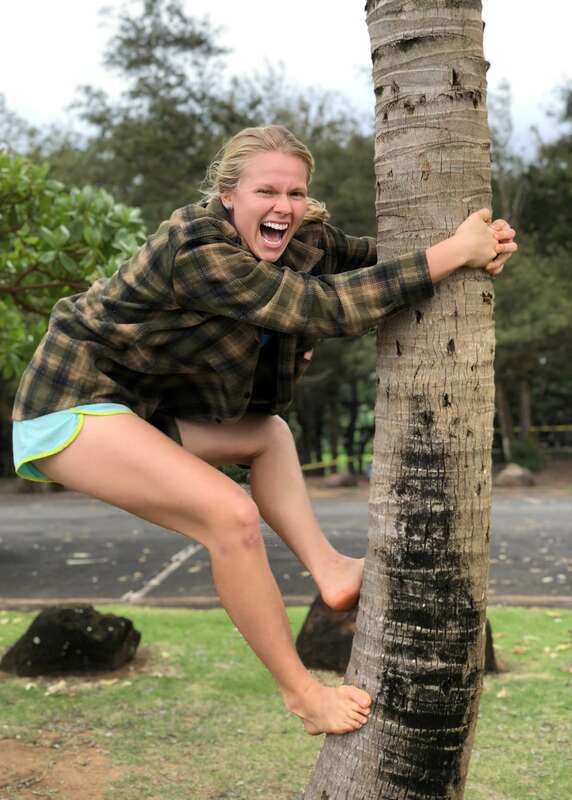 Join me again on Monday for a green smoothie that might catch you by surprise! Mince onions and put into a bowl of water. Chop avocado into bite-sized pieces and sprinkle with salt and pepper. Tear lettuce leaves into bite-sized pieces into a medium bowl. 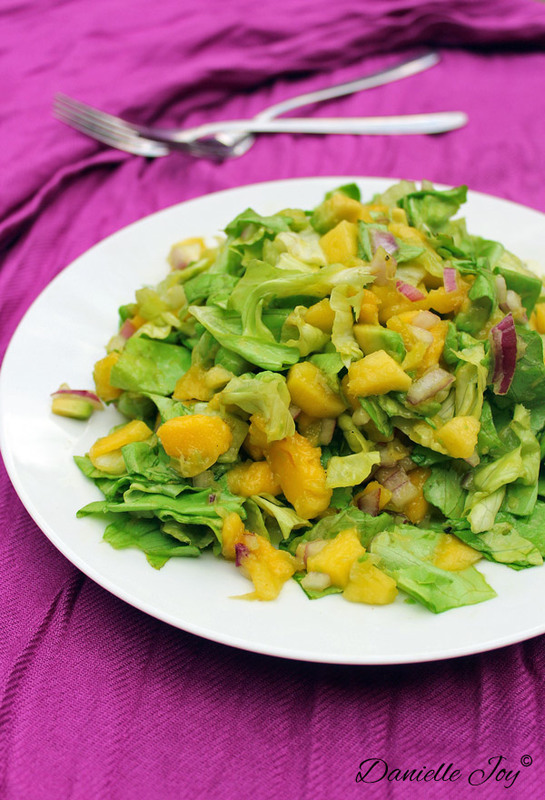 Chop mango into bite-sized pieces and add to salad leaves. Add the avocados and the drained, minced onions to the salad.